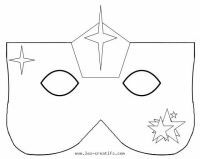 Here are some children's masks to be printed out and then colored in. 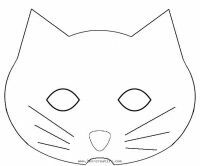 You can decorate them by sticking on glitter, feathers or stickers... (our masks are sized especially for children aged between 5 and 10). Email us the photos of what your kids have made, we'll be delighted to publish them, together with your children's first names and ages. To print out the masks, click on the one you like. You can then print it out.